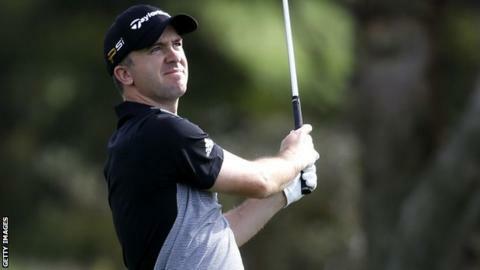 Scotland's Martin Laird moved to within two shots of the lead as Jason Day, Phil Mickelson and Justin Rose missed the cut at the Farmers Open. Laird shot a second round 68 in San Diego to stay within reach of KJ Choi and Gary Woodland, who were nine under. England's Rose and Paul Casey missed the cut by a shot, along with American and world number four Rickie Fowler. American Mickelson was a further shot behind, while Australia's defending champion Day missed out by three. World number two Day's preparations were hampered by illness and the he missed the cut for the first time in nearly eight months. Mickelson finished with three straight bogeys as his challenge was ended. "I think I tried to force the issue a little bit," he said. "When I wasn't under par early, I kind of started to press a little bit. But that stuff happens."